It’s so much more fun now to talk to my 5 year old daughter. She has soooooo many stories to tell and sometimes, she sees things in a different light. Very different on how we adults see things which is kinda cool if you ask me because it’s quite humbling to learn from a young soul. Anyhow, a milestone happened a few weeks back that got me contemplating about peer pressure and how it can help shape one’s personality. We’ve all been peer pressured one way or another, whether when we were young or now that we’re older. Some people even have a FOMO (fear of missing out) thing going on, but that’s a different story which I may or may not write about because I can sorta relate. Hihi. So what is peer pressure? It is also known as social pressure where an individual or group encourages (read: pressures) another individual to change a particular thing in his or her life (be it values, attitude, behaviour, physical trait, or lifestyle such as acquiring of material things) to conform to those of the influencing individual or group. A few months ago, lil’ Ms. JG’s friends from school had already lost their first (some even their second) teeth. So she started asking me when she’ll lose her tooth. She was a tad bit impatient and kept on wondering why other girls experienced it first before she did. She couldn’t grasp the idea even if I told her that’s just the way it is. She couldn’t wait for her turn and hoped that it’ll be sooner rather than later. As if on cue, a few weeks after all the morning huddles talking teeth, she proudly reported to everyone that she felt one tooth wiggle. 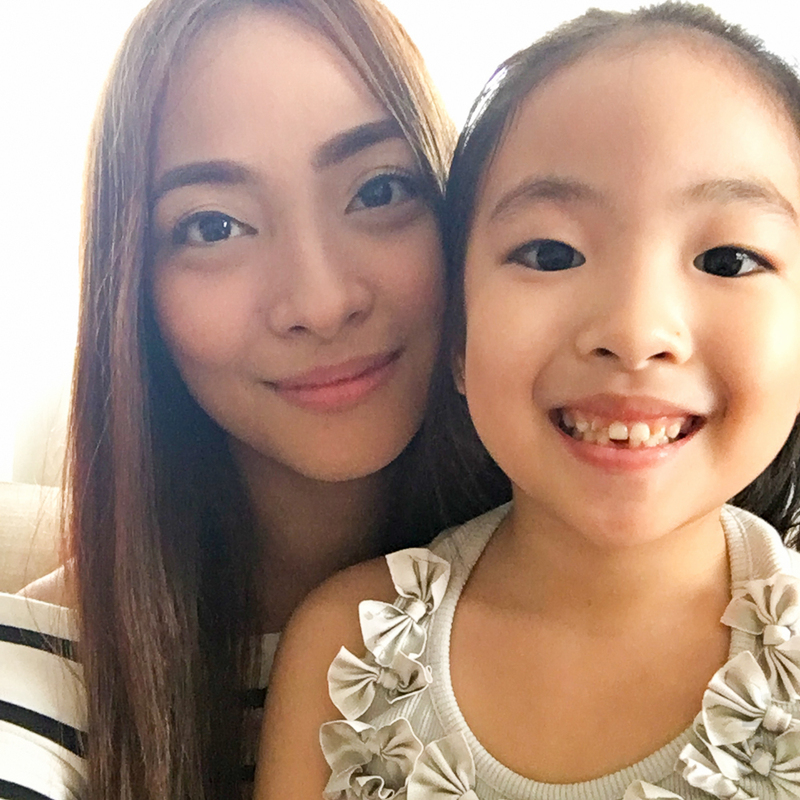 The two-week long holiday vacation passed and lil’ Ms. JG finally lost her first tooth last January 3, 2016. At first, she was a wee bit disappointed that it wasn’t her “dirty tooth” (referring to her teeth with milk cavities) that fell off. 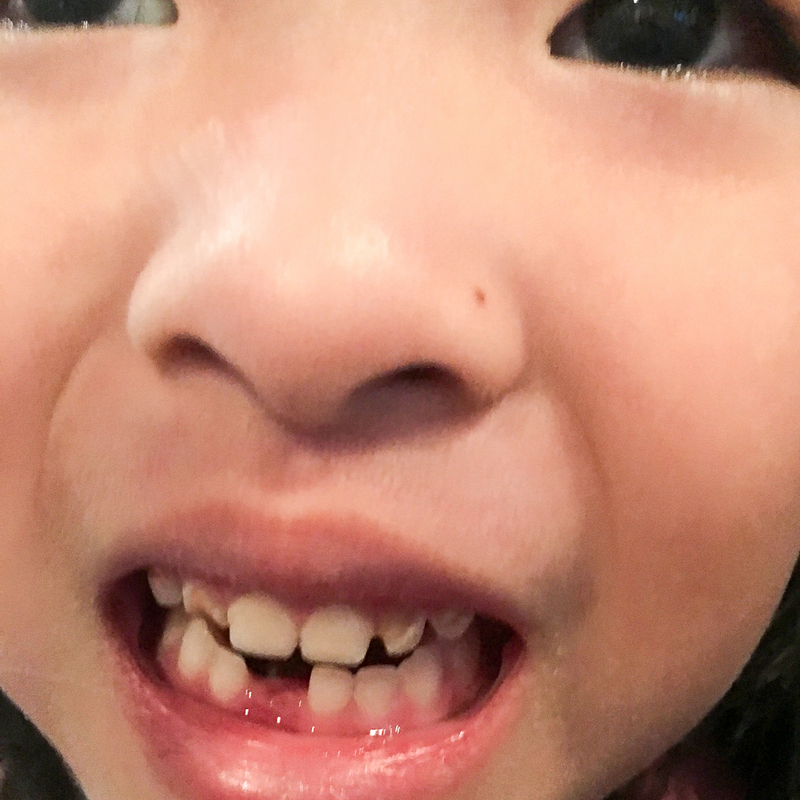 But her disappointment turned to excitement the moment she realized she finally lost her first tooth. FINALLY! It was already wiggly to begin with and every time her dad would tell her that he’ll just yank it out, she gets terrified and afraid thinking of how painful losing a tooth could be. But lo and behold, the morning of January 3, while she was drinking her milk, she paused when she felt something inside her mouth. When she got hold of what it was, she was surprised to see it was her wiggly tooth! She couldn’t stop telling everyone about her experience. For her, it was life-changing. So was it for me, my baby girl is growing up! I’ve never seen a kid get all worked up all because of the first fallen tooth. What wasn’t captured in the video was when she told me that she’s excited to go to school that Monday. Here’s how our conversation went. Lil’ Ms. JG: Mom, how many more days before Monday? Me: 1 more day before Monday, why? Are you excited to go school? 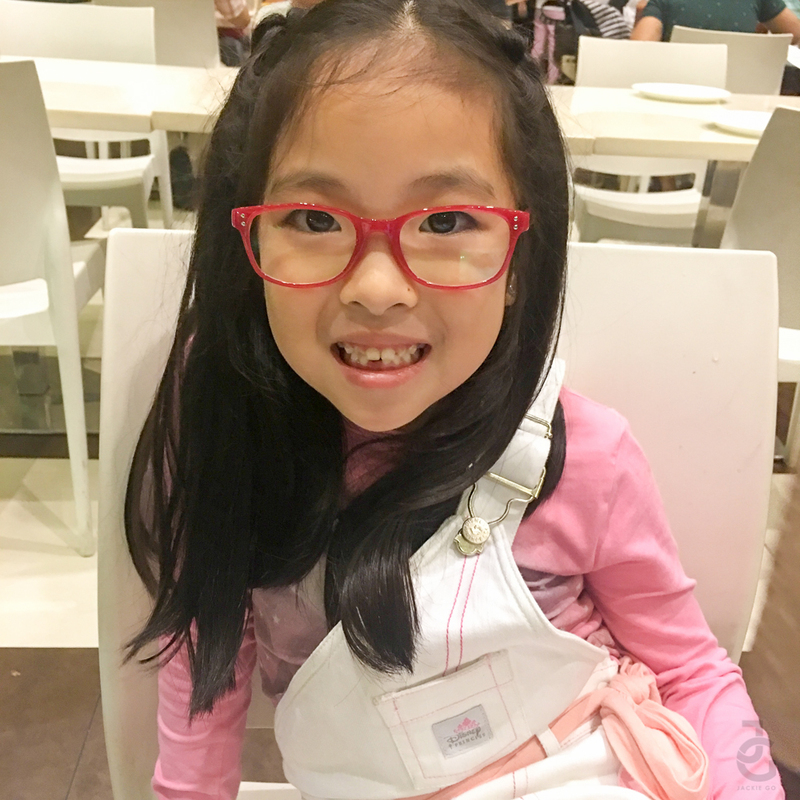 Lil’ Ms. JG: Yes, I am super duper excited to go to school and smile so that my friends can see there’s no more tooth here (pointing to the toothless space in her mouth). Me: Why do you want to lose your tooth so much? Lil’ Ms. JG: Because a few of my friends already lost their tooth, so I’m excited for my turn so we can all be the same! Ayan na, hello peer pressure! I know there will come a time when peer pressure will get to my children. Hello, ako nga I was peer pressured into wearing eye glasses back when I was in grade school. Well, I gave in din naman because I find my classmates wearing glasses look so much smarter than the rest of us! Haha. Eventually, I forced my mom to bring me to the eye doctor. Turns out I have astigmatism and really need to wear glasses (blessing in disguise, guys! ), heehee. Peer pressure is part of growing up or at least part of challenging one’s social skills and it’s a great way to learn about one’s self. While lil’ Ms. JG’s situation is inevitable, (you can’t stop one’s milk teeth from falling off right?) I know there will come a day when peer pressure gets to her and it won’t be cute anymore (i.e. getting the “it” school bag or latest gadget). I guess as a parent all I can do is help her discern and not give in. Well, even if she feels pressured in the not-so-distant-future to get the coolest trolley bag or the latest gadget for kids, eh she won’t get it easily (perks of belonging to the middle-class social hierarchy). She’ll either cry her heart out until she gets over it (and chances are, she’ll hate us and compare us to the rich parents of her friends, LOL!) or she’d have to help around the house and do chores so she can save up. Whatever choice she makes, I’m sure there’s a lesson to be learned. I’ll remember this time in our life when losing my daughter’s first tooth was the first clear sign of peer pressure for her. I just hope that she grows up not easily swayed or at the very least become aware of it that it doesn’t really get to her.